In this article, I will present you a refreshing game for these days! 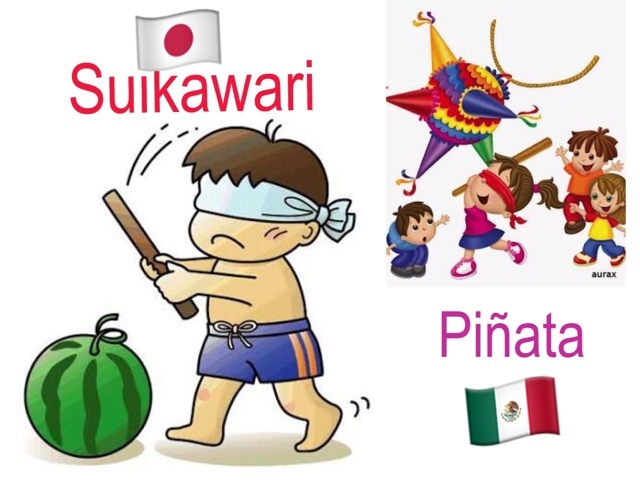 スイカ割り (suika-wari =watermelon Splitting) is a traditional Japanese game that involves splitting a watermelon with a stick while blindfolded. Suikawari is most often seen at beaches, but also occurs at festivals, picnics, and other summer events. 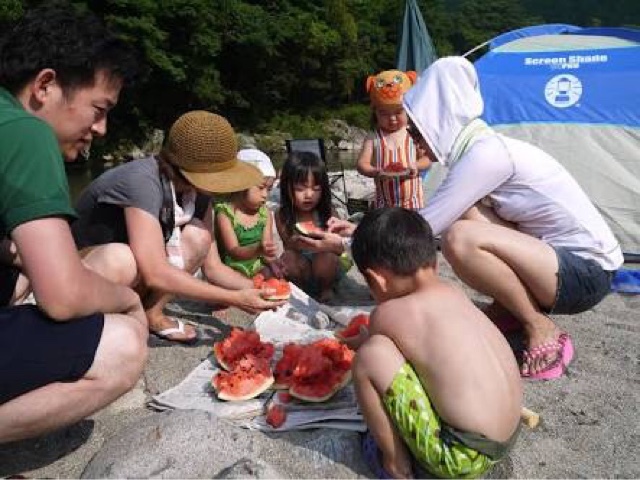 A watermelon is laid out, and participants one by one attempt to smash it open. Each is blindfolded, spun around three times, and handed a wooden stick, or bokken, to strike with. 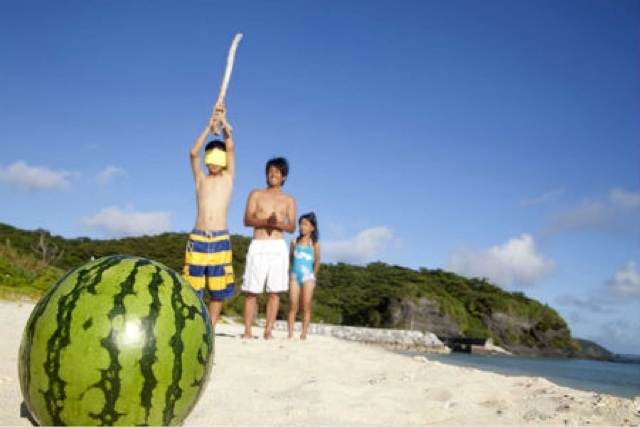 The first to crack the watermelon open wins. Afterwards the chunks of watermelon produced are shared among participants. By the way, what is the origin of this game? 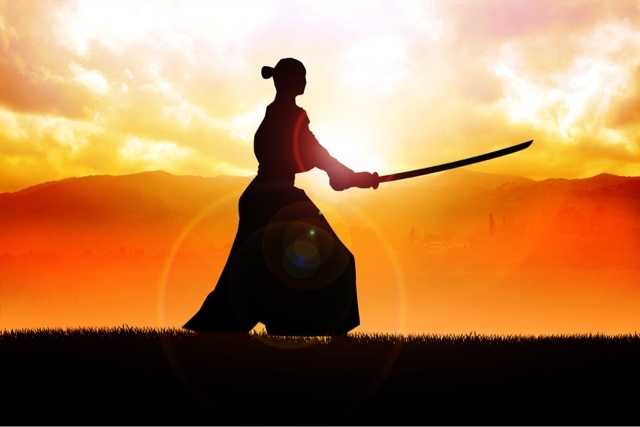 1) It seems to be originated from a kind of training of sword fighting. 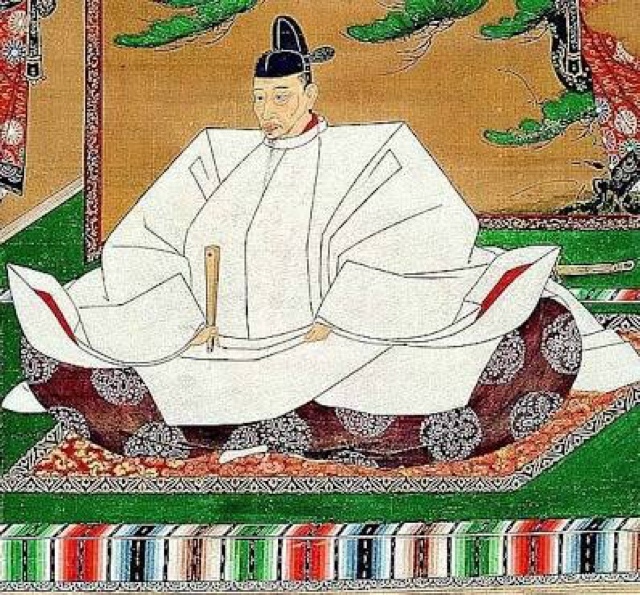 2) The samurai general, Hideyoshi Toyotomi started this for an entertainment of his castle-warming party. 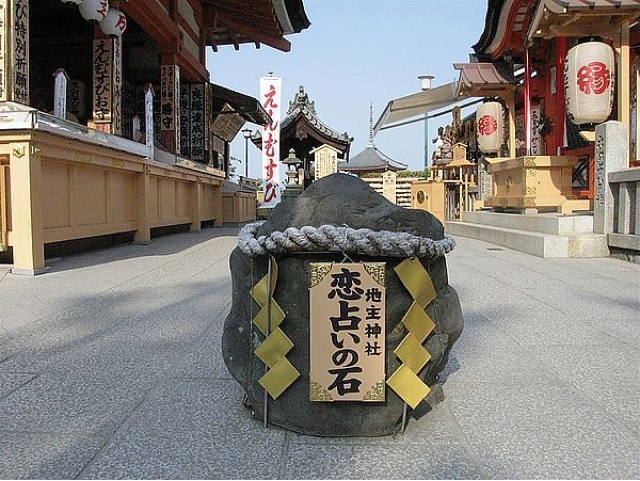 3) To simulate the rocks, at the Jishu Shrine in Kyoto. There are two stones about 10 metres apart, you touch one stone, then walk to the other one with your eyes closed. If you reach it successfully, you will achieve true love." De nuevo le agradezco a mi querida amiga Emi por estar al tanto de mi blog y sugerirme temas. Te adoro!